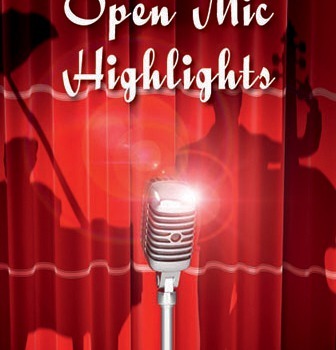 We're delighted to announce another of our OPEN MIC HIGHLIGHTS shows. Four of the most talented singers from the large number of incredibly gifted musicians that have appeared at The Crazy Coqs' regular Thursday Open Mic NIghts in the last year have been invited to come together for a special showcase highlighting the diversity of talent and styles that appear on the Crazy Coqs' stage. Louise Ellen trained as a classical musician from a very young age and has only in recent years made the transition into the world of jazz. Her smooth soprano vocals tell the story with a unique voice, while also holding her own as an accomplished flute and piano player. Louise performs all the great jazz standards from heart-warming ballads to swinging up-tempo numbers. .
Hailing from Alaska David Josefssohn has been performing since he was 5 years old . He has appeared in musicals in the USA, the UK and Germany - including the original German cast of 'Jekyll & Hyde'. He also entertains in a variety of settings in drag as "Gloria Swansong". Welsh singer and actress Lauren Shields makes her London cabaret debut. She has performed in concerts across Wales including Wales Millennium Centre and the Wales Festival of Remembrance. A Musical Theatre lover, Lauren's performances celebrate the genre's music and lyrics from the Golden Age classics to the newest composers.